American-made furniture built to last for generations. One-of-a-kind art and heirloom gifts to be treasured forever. Custom pieces built just for your home. Wood Grains brings all this and more to Rocky Mount, Virginia. 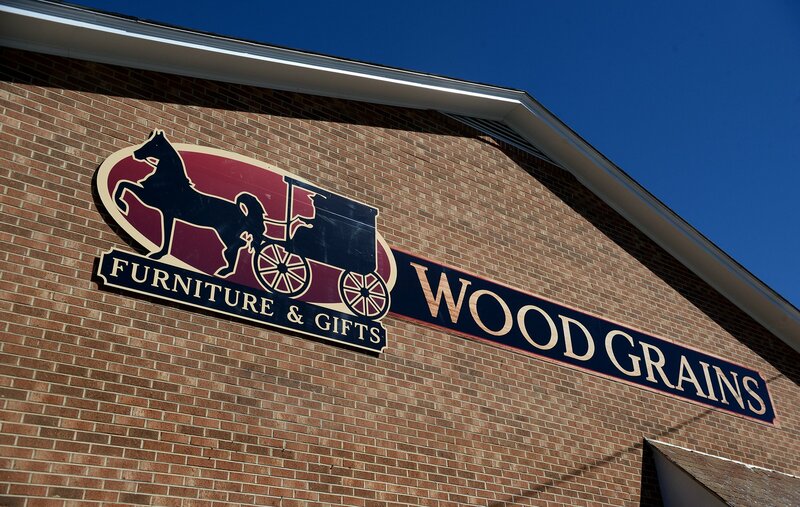 Come visit our store to see our solid-wood furniture, handmade by Amish crafters in their small shops. Looking for a different wood species, stain or size? We work directly with builders to provide pieces that meet all your specifications. We also work with builders right here in Franklin County. Wood Grains owner Dulcie Webster Hankins is a Franklin County native. Rocky Mount is her hometown. Dulcie believes you should be able to fill your home with real-wood, American-made furniture that suits your taste and will last a lifetime. Have you ever shopped for furniture and asked, “Why can’t we get great pieces like this in Rocky Mount?” Dulcie has, and she decided to do something about it. 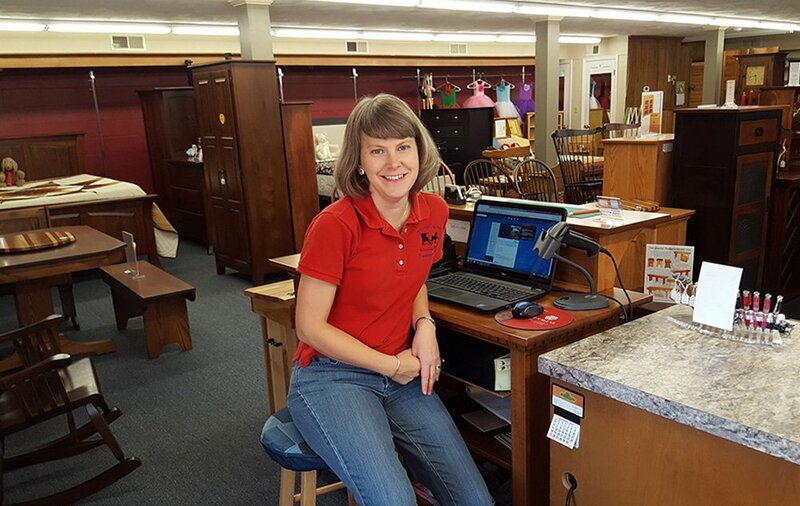 Stop in and let her introduce you to the quality and attention to detail you’ll find in Amish- and locally built furniture. The selection of furniture on our website and in our store reflects only a fraction of what’s available from our builders. We offer custom ordering at the same low prices as you see on the floor, and you can choose from hundreds of styles. We will happily work with you to find just the piece you’re looking for, customize it exactly to your taste, and order it for delivery.